There is no greater feeling than enjoying the open road on a motorcycle. And Utah has some of the most beautiful and scenic drives in the world. Unfortunately, riding a motorcycle is not without risks. Most motorcycle accidents are caused by other drivers who either fail to see the motorcyclist or fail to yield the right-of-way. According to data released by the National Highway Traffic Safety Administration, there are between 4,000 and 5,000 motorcyclists killed in accidents every year. The number of motorcycle-related injuries each year falls between 75,000 to 100,000. We take motorcycle accidents very seriously. Are Motorcycle Accidents Different than Motor Vehicle Accidents? The biggest difference between a motorcycle accident and a motor vehicle accident is that motor vehicle passengers are in vehicles that have more safety and protection features than motorcycles. For that reason, motorcycle accidents frequently lead to more serious injuries than motor vehicle accidents. How Can a Lawyer Help Me with My Motorcycle Accident Case? The Schriever Law Firm has helped hundreds of people recover damages and get insurance settlements for personal injury cases. 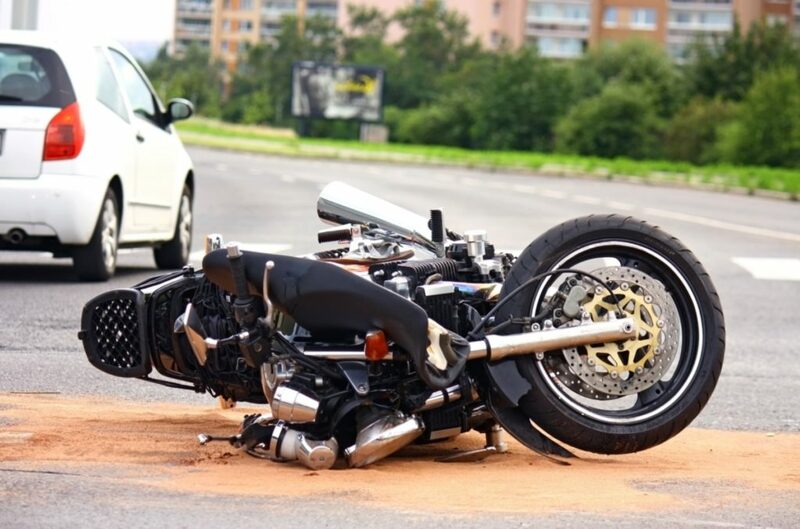 Motorcycle accidents are one of the many types of accident cases we handle. Some firms will claim to specialize in motorcycle accidents because the lawyers ride motorcycles. You don't need a lawyer that is busy riding a motorcycle. What you need is a lawyer that specializes in getting great settlements and who is experienced in presenting strong evidence to a jury. The attorneys at the Schriever Law Firm are known for their tough negotiating style and their attention to detail. We get results for people injured in motorcycle accidents because we understand the law and we understand your injuries. Why Choose the Schriever Law Firm? Choose the Schriever Law Firm because you want an attorney who will listen to you and fight for your rights. We accept accident fees on a contingency fee basis which means you do not pay us anything unless we win for you. We offer a no-risk, free consultation. Call us today and find out why more and more people are choosing to "Leave it to Schriever!" Contact us today and "Leave it to Schriever!"